Konecranes has received an order from Gulftainer USA Wilmington LLC. The order is for nine all-electric Konecranes Rubber Tired Gantry (RTG) cranes and three Konecranes Liftace Reach Stackers. The equipment will be delivered in 2019-2020. The parties involved have agreed not to disclose the value of the deal. 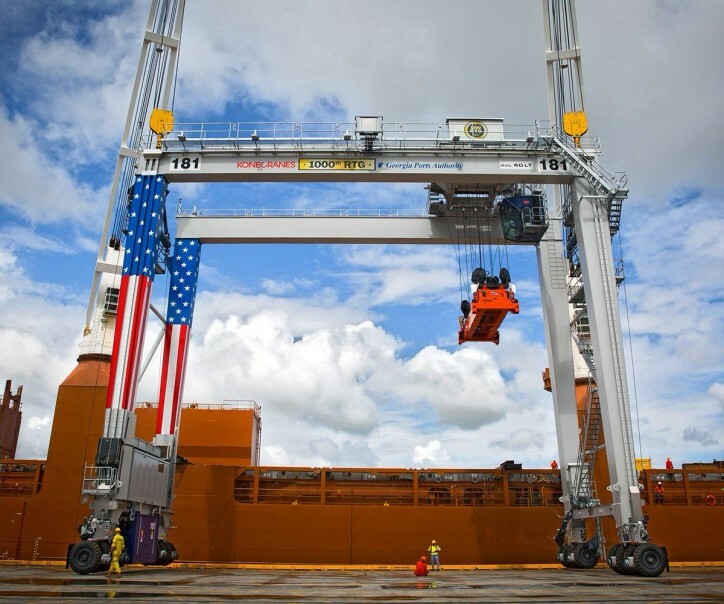 The Port of Wilmington already successfully operates Konecranes Gottwald Mobile Harbor Cranes. Gulftainer also operates Konecranes container handling equipment in Port Canaveral, Florida, and in the Middle East. They selected Konecranes on this occasion because of their experience and satisfaction with Konecranes technology, plus Konecranes’ service strength in the USA. The Konecranes RTGs will be delivered in the first and fourth quarters of 2020. They will be all-electric, diesel-free RTGs running on electric power supplied by a busbar system, backed up by battery packs. They will be equipped with Konecranes’ Active Load Control (ALC) system, which eliminates container sway, and the Stack Collision Prevention system. They will have a lifting capacity of 41t stacking 1-over-5 containers high and 7 plus truck lane wide.